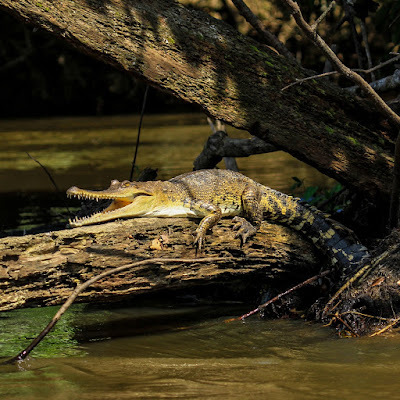 Molecular and morphological evidence has shown that the African slender-snouted, or sharp-nosed, crocodile Mecistops cataphractus (Cuvier, 1824) is comprised of two superficially cryptic species: one endemic to West Africa and the other endemic to Central Africa. Our ability to characterize the two species is compromised by the complicated taxonomic history of the lineage and overlapping ranges of variation in distinguishing morphological features. Leer más.